Evelinda Maria Eslinger, 65, passed away on Monday, April 8, 2019. She was born in El Paso, Texas on March 13, 1954 to Salvador and Arcadia Campos. She grew up in various places including El Paso, Texas, Clint, Texas, Mineral Wells, Texas, San Antonio, Texas, Boise, Idaho, Augusta, Georgia, Neubrucke and Stuttgart, Germany. She graduated from Stuttgart American High School in Ludwigsburg, Germany. She also attended the International Business School in El Paso. She met and married Ray Dean Eslinger in Boise, Idaho in 1977. Her favorite activities were with her family and included going to NASCAR races and bowling with her husband and son while her granddaughter cheered her on. She is proceeded in death by her mother, Arcadia Campos, brother, Richard Campos, maternal and paternal grandparents and multiple aunts, uncles and cousins. 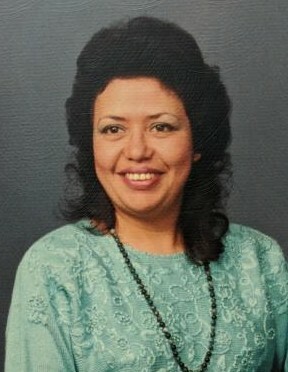 She is survived by her husband Ray of 42 years, her son, Arthur (Stacy), granddaughter, the light of her life, Quinn, father, Salvador Campos, brother, Armando (Julie) Campos, sister, Vanessa (Eddie) Richards, nephews, Joseph and Ryan Richards and numerous extended family members, friends and acquaintances. A Vigil Service with Recitation of the Rosary will be held on Friday, April 12, 2019 at 6pm followed by a formal sharing opportunity and viewing at Bowman Funeral Home, 10254 W. Carlton Bay Drive, Garden City, Idaho. A visitation will be held on Saturday from 10:00 -10:45 am prior to graveside service. A grave side service will be held on Saturday, April 13, 2019 at 11:00 am at Cloverdale Cemetery at 1200 North Cloverdale Road, Boise.